Monday night Ladies' Bible Study is a great group of women from around the BCLUW community who meet on the 1st and 3rd Mondays of the month for Bible and book studies. We have been meeting for almost 20 years. Our 2018-19 season began September 19, 2018 at 7:00 pm at FPC in the old fellowship hall, just as usual. But of course, we are studying something entirely new and exploring together a new book from a familiar author about an ancient theme: Grace! 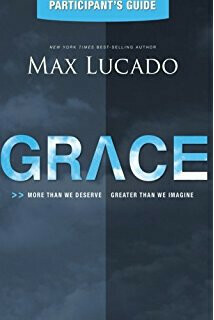 This year we are using the book Grace: More Than We Deserve, Greater than We Imagine by Max Lucado. Please join us and find your spot among this group! It has been a great place to find love, support and encouragement. We would love to have you!